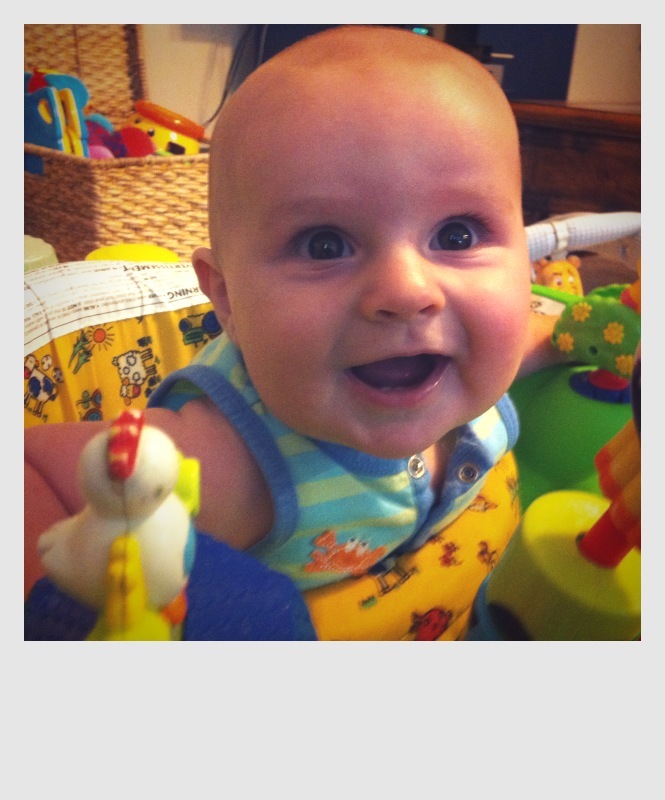 I think I’ll join Jeannett over at Life Rearranged (awesome blog!) and post an InstaFriday. This may just become my insta-therapy of sorts. Well, HELLO big brown eyes, and beautiful smile. You make my heart sing! I see those two little pearly whites shining in on the bottom! Lazy Saturday. Oh, how I love those. 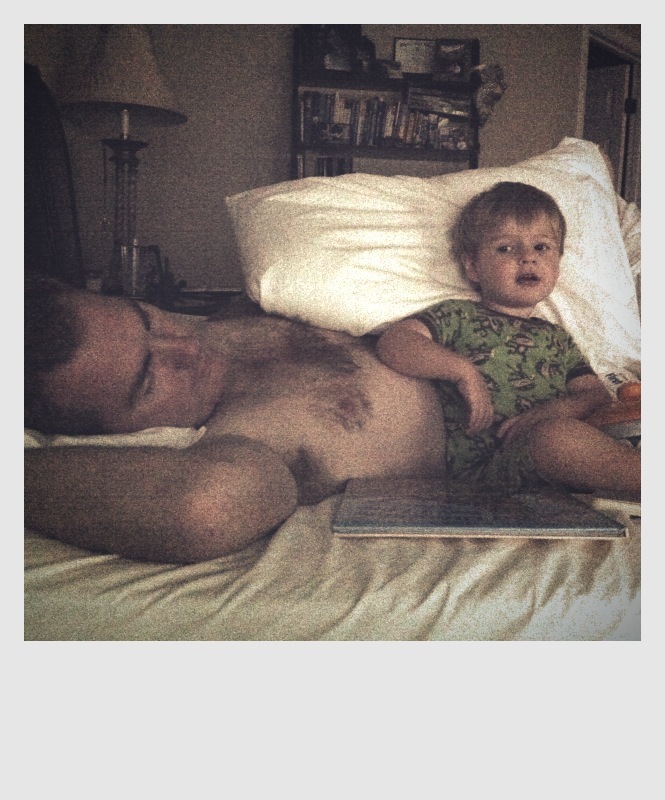 Parker likes to jump into bed with Daddy when he’s half asleep and demand him to read his Dinosaur books. 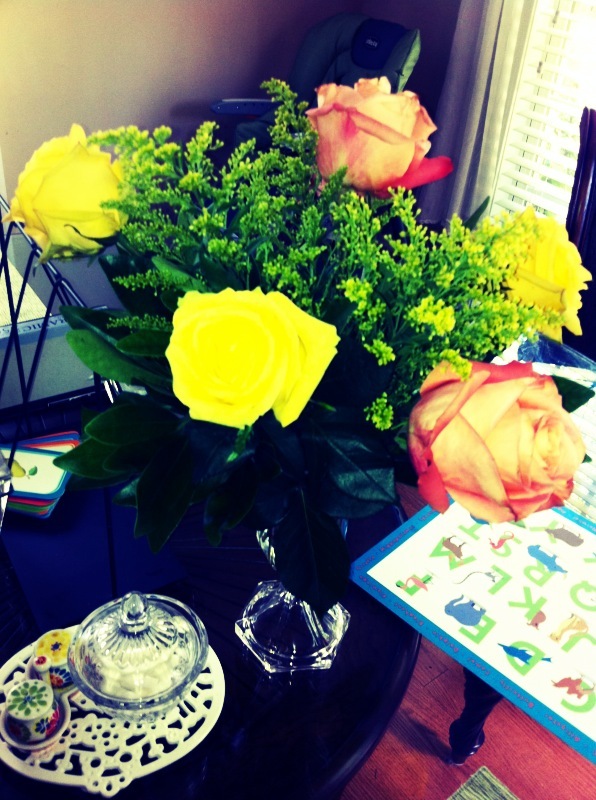 Dan’s Mom came in town last weekend and brought me this beautiful bouquet of flowers. See, not all MIL’s are bad. This one is sweet and thoughtful! Mason has outgrown his carseat carrier. 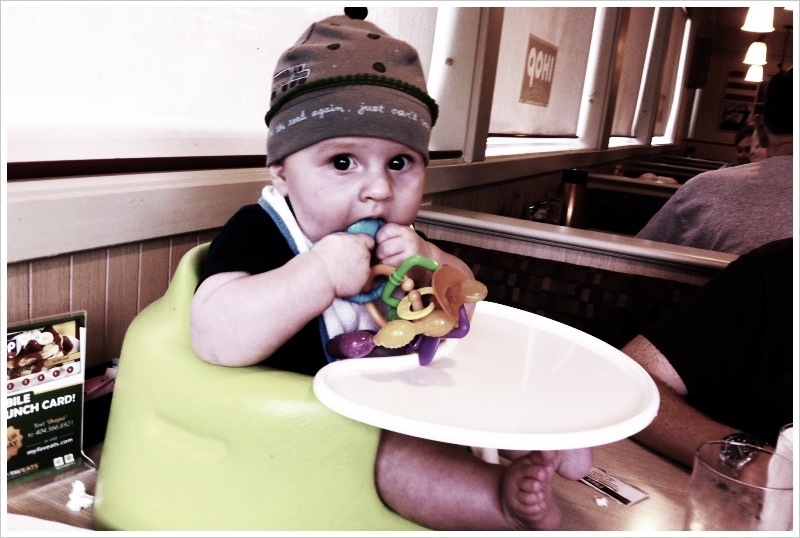 So, now when we’re in restaurants, we use the bumbo on the table. We get some funny looks, but let’s be serious… who could resist looking at this cute hunk of sweetness? This has to be one of Parker’s favorite places in the world. 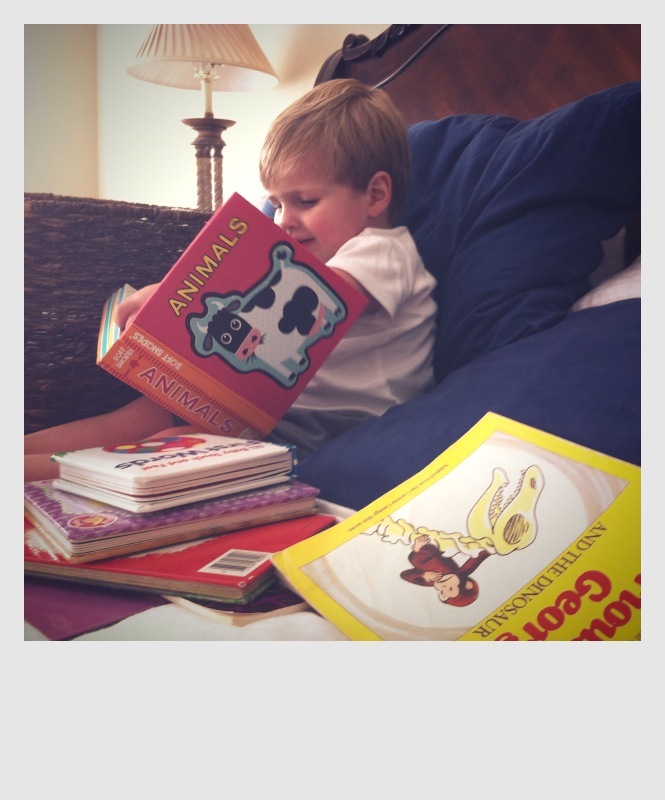 Curled up on Mommy and Daddy’s bed, with a basket full of books, while Mama folds the laundry. 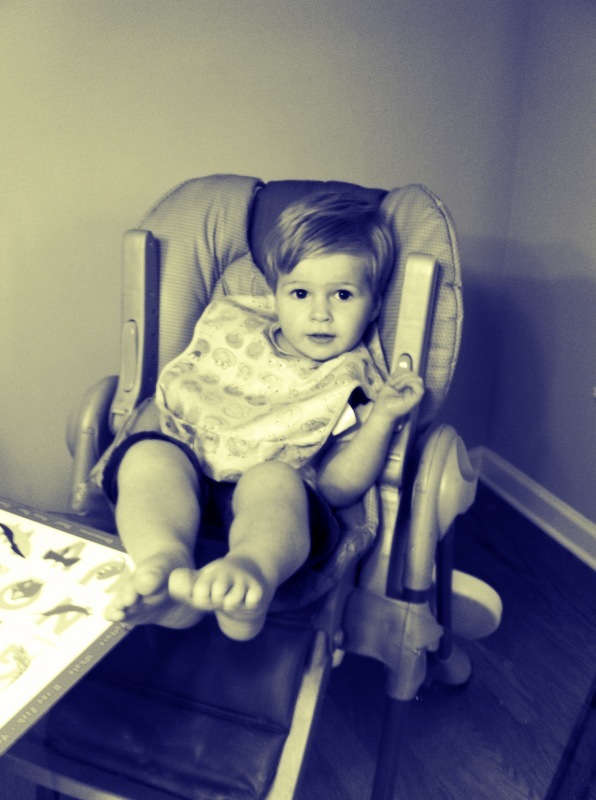 This little stinker thought it would be cute when he finished his meal, to just kick his feet up onto our glass dining room table. Hmm…I think not. 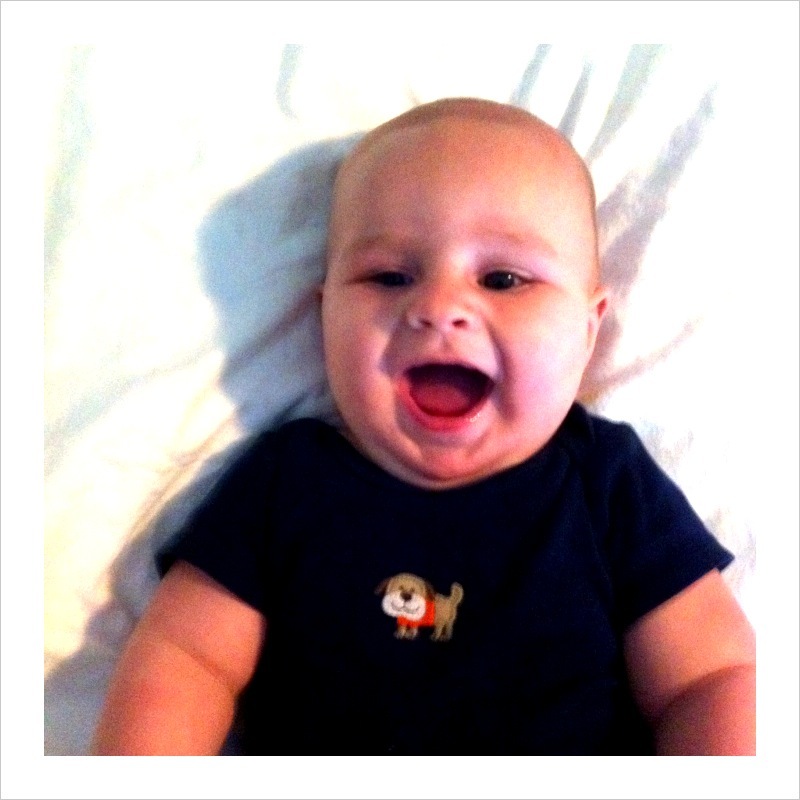 Happy Mason…in mid-tickle during a tickle/picture session on Mama’s bed. Share your phone photos from your week too! Your boys are just too adorable! We love lazy Saturdays as well! We have a few very busy weekends coming up, so I cannot wait for our next lazy day! sharon the love?!! genius!! love the daddy & baby in bed pic! classic! So, I copied you, but I like your pictures more!!! 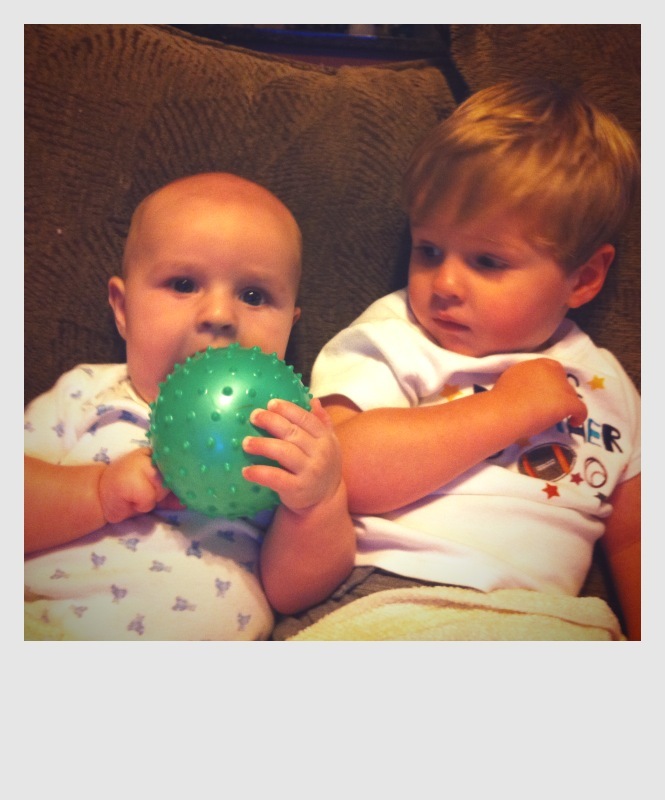 Love Mason & Parker!